Jung Lung Veneer was established in 1972. 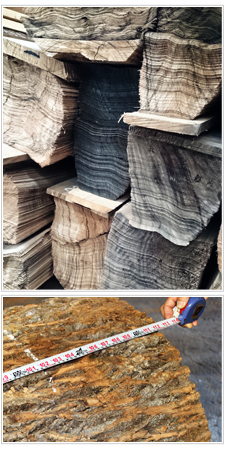 We specialize in log importation and professional manufacturing and sale of natural veneer. Jung Lung Veneer introduces several series of veneer plywood products, including Jung Lung Veneer Plywood and Adhesive paper backing veneer. We absorb the up-to-date manufacturing techniques globally and persist on refining our instruments and quality control procedures. Our aim is to provide customers quality veneer products. As a pioneer of veneer decoration, we devote to providing designers diverse, high-quality, and novel surface decoration materials. Styles of interior design changed from constantly as time went by. We used to pursue the symmetry of grains, but nowadays we long for going back to more natural look. Jung Lung Veneer takes account of trends in Europe, US and Japan, and we visit the origin of woods and stones in person globally. We bring back the latest techniques and trends to provide you more choices on decoration. After 40 years of transformation and innovation, we insist to provide you quality natural veneer manufacturing products with reasonable prices. Products of Jung Lung Veneer conform to national eco standards, including low formaldehyde and heavy metal free, to give you a healthy living environment.